The coop visit is free of charge! Discover all the secrets of Beaufort cheese and its region through a sensory approach and original tools. - The use of strollers is authorised during the tour. - A play area is available for children at the entrance (under parental responsibility). - Educational workshops are offered (in groups, on a reservation basis). - Portable chairs can be rented to people with reduced mobility. - Feel free to contact the reception desk for more information! - For people with hearing aids, individual loops are available at the reception desk. - "Duo" visit bags are offered to people with visual and mental disabilities visiting with a companion. Contact the reception desk for information. Beaufortain is synonymous with Beaufort cheese! 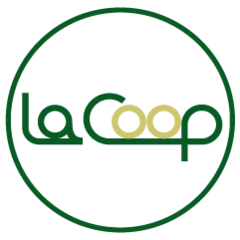 The cooperative: Over a half-century of existence.